On September 23, Honduran attorney and human rights activist Antonio Trejo Cabrera was shot and killed by unknown assassins in Tegucigalpa, Honduras. Trejo was the legal advisor for the Movimiento Auténtico Reivindicador Campesino del Aguán (MARCA), a land reclamation movement located in Bajo Aguán, as well as a legal representative for other peasant rights groups attempting to reclaim illegal landholdings from the rural elites in the Caribbean province of Colón. Bajo Aguán, one of the most fertile areas in Honduras, has witnessed heightened tension and increased violence throughout the last several years. The palm-oil producing region generated significant interest from private landowners in recent decades, resulting in the seizure of extensive landholdings from the rural poor. Such unlawful appropriations have provoked frequent armed disputes between peasant farmers and security guards working for local wealthy landowners, which has led to the death of over 60 Hondurans. The farmers have been tirelessly protesting to regain the legal rights to privately-owned plantations, and Trejo had assisted them, relying on negotiations and legal procedures rather than violence. However, Trejo’s efforts were negated when landowners were able to reverse the court’s ruling through illegal influence peddling. Additionally, despite the government’s recent agreement with landowners to purchase and return more than 10,000 acres of land to rural poor farmers, violence continues to plague the region. Notwithstanding the rampant bribery and corruption, Trejo continued to seek justice and gain rights for Honduras’ rural poor. Only hours before his death, he publicly denounced a government project to build privately–run cities in Honduras, with their own police force and tax system, accusing politicians of advancing such projects as a subterfuge to fund their own campaigns. Thus, Trejo’s dedication to defending the human and civil rights of Honduran citizens had created fierce tensions between the lawyer and government officials, as well as private corporations. Trejo’s slaying comes as no surprise in Honduras, the country with the highest per capita homicide rate in the world (86 homicides per 100,000 inhabitants). 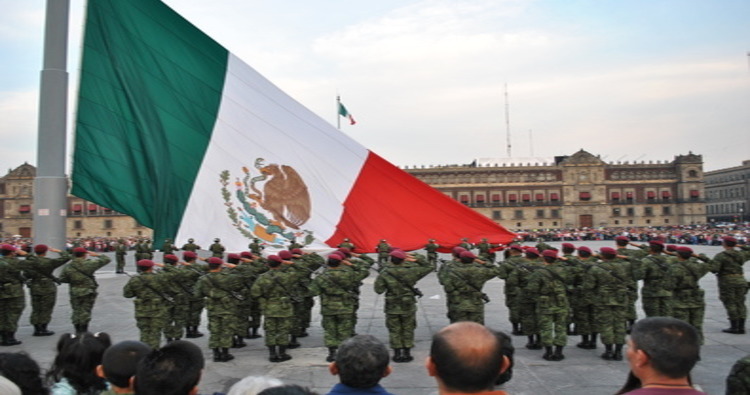 The Central American nation has a dangerously swelling history of unresolved murders, especially those of journalists, lawyers, and public officials. The lawyer’s death occurred only one year after the former president of MARCA, Secundino Ruiz Vallecillo, was gunned down by unknown assailants. Shortly before Ruiz’s murder, Trejo filed a report with Honduras’ Human Rights Defense Committee that sought protection for himself and his family due to having received various death threats. His family claims that his requests were ignored by the police and the prosecutor’s office, resulting in their widening distrust for government authorities. Honduras is a largely lawless country where terror is the normal state of affairs and the ubiquitous violent atmosphere is made worse when there is no one to protect the nation’s ordinary citizens. The lack of prosecutions for these tragic murders have created a culture of impunity and a sense of helplessness, which has perpetuated the country’s state of violence. The U.S. State Department has stepped in, urging the Honduran government to immediately conduct a full and transparent investigation of Trejo’s death. According to Victoria Nuland, the Department Spokesperson, the “United States and Honduras [are] committed to work together to combat impunity, reform the Honduran security and justice sectors, and enhance the capacity of Honduran human rights institutions to operate effectively.” Nuland’s remarks lack credibility, considering Washington’s ambivalent attitude toward Honduras since the 2009 coup, which overthrew the democratically elected government of Manuel Zelaya. Washington, which has failed to condemn the new government for its undemocratic actions in regional forums, including the OAS, has shown itself unwilling to economically or diplomatically crack down on Tegucigalpa’s outrageous behavior. However, the United States continues to give the international community the false impression that the two countries are creating measures to protect human rights defenders and are seeking justice for slain humanitarians like Trejo. Although the State Department has reported progress in Honduras in terms of justice and efficiency, the Honduran government’s inadequate response to the murders of Trejo, Ruiz, and the 72 other murdered lawyers in the last three years suggests the opposite. Two days after Trejo’s tragic murder, Human Rights Public Prosecutor Manuel Eduardo Díaz Mazriego was shot dead, proving that these appalling killings are far from isolated cases. 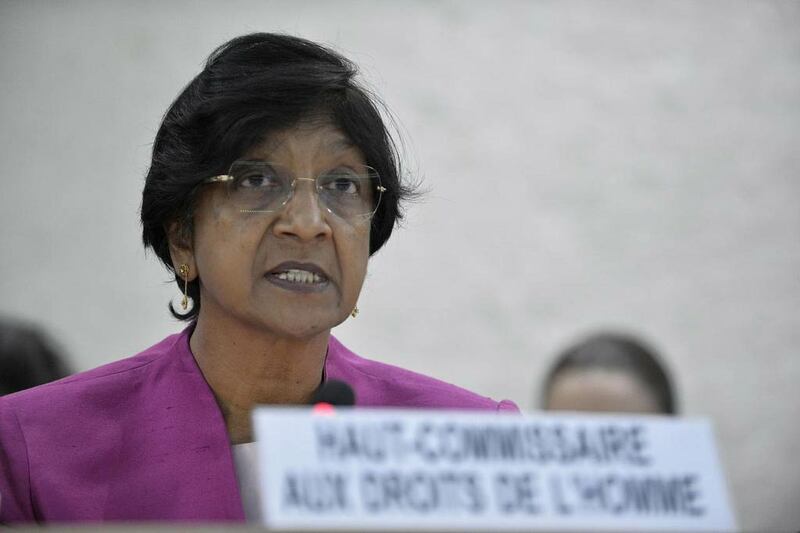 Navi Pillay, the United Nations High Commissioner for Human Rights, expressed her concern with Honduras’ institutional defectiveness last week, stating, “The impunity that surrounds [human rights] violations is unacceptable. 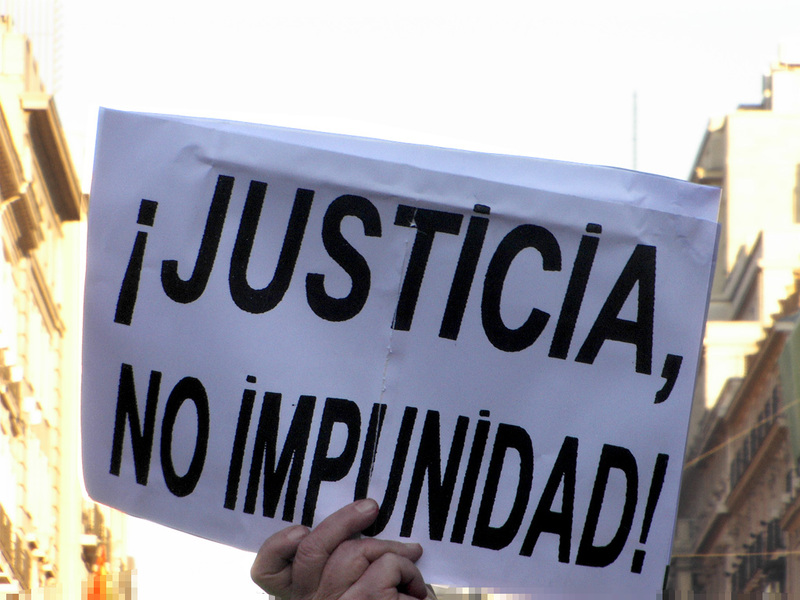 When the perpetrators know they are very likely to get off scot-free, there is nothing to deter them from killing off more of the country’s finest human rights defenders.” Thus, the Honduran government must be pressured relentlessly by international superpowers, like the U.S., to take urgent and aggressive action to create more effective measures that protect their vulnerable citizens from Honduras’ killing fields. Associated Press. “Human Rights Lawyer for Agrarian Groups Murdered at Wedding.” Washington Post. September 24, 2012. http://www.washingtonpost.com/world/the_americas/honduras-human-rights-lawyer-who-opposed-private-cities-murdered/2012/09/23/059ff77a-05a5-11e2-9eea-333857f6a7bd_story.html. “Lawyer Who Helped Peasants recover Lands Murdered in Honduras.” Latin American Herald Tribune. September 24, 2012. http://www.laht.com/article.asp?ArticleId=588130&CategoryId=23558. “Lawyer Representing Peasant Land Rights Cases Murdered in Honduras.” http://www.hispanicallyspeakingnews.com/notitas-de-noticias/details/lawyer-representing-peasant-land-rights-cases-murdered-in-honduras/18733/. “Antonio Trejo, Human Rights Lawyer, Killed at Wedding.” BBC. September 23, 2012. http://www.bbc.co.uk/news/world-latin-america-19695587. “Honduras Country Specific Information.” U.S. Department of State. Updated July 10, 2012. http://travel.state.gov/travel/cis_pa_tw/cis/cis_1135.html#victim. Nuland, Victoria. “Honduras:Murder of Antonio Trejo Cabrera.” U.S. Department of State. September 24, 2012. http://www.state.gov/r/pa/prs/ps/2012/09/198108.htm. 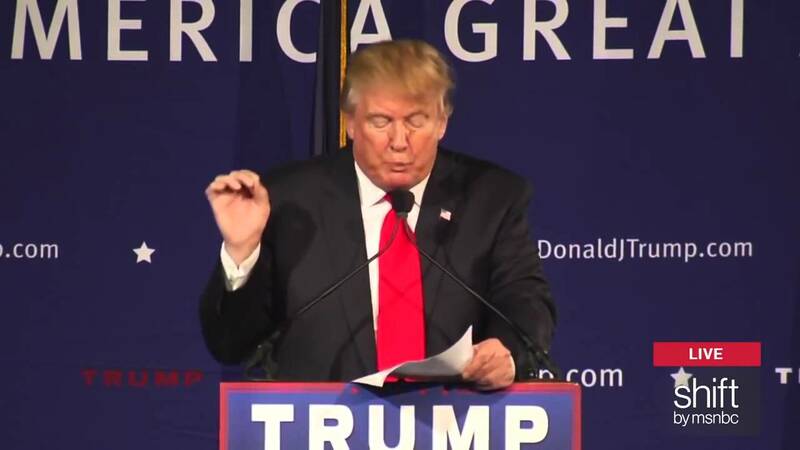 The Organization of American States: On its Deathbed? October 19, 2007 COHA Comments Off on The Organization of American States: On its Deathbed?